Garden Course – designed to suit the individual requirements- a choice of 6 out of 12 Garden Topics. Introduction: Plant Groups, Garden Vocabulary, Plant names- Binomial System, Latin- A Descriptive Language, Ornamental Plant Groups, Edibles, Main Garden Activities. 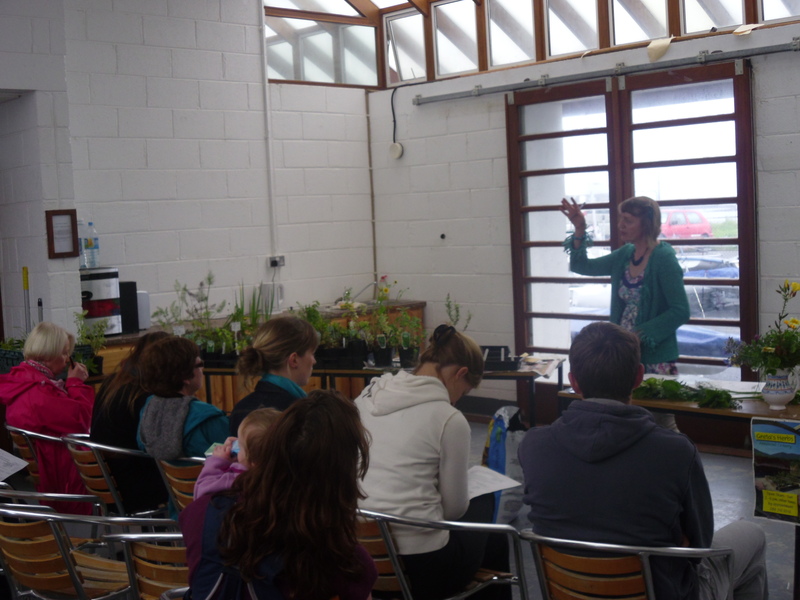 ‘How to Grow and Cook with Herbs’ combined workshop with Greta and Chef Trevis L. Gleeson (cookery demo). Both authors will be available for signing their books after the event. There will also be a selection of potted herbs for sale. Admission: Free but donations to neighbours helping neighbours appreciated. Individual consultations cost €50 per hour. Additional costs may incur for long distance journeys. Please phone Greta at 086-3169716 to obtain specific quotations. For further information on future courses for 2014 contact Greta 086-3169716. I am hoping to run a course in Dingle! Practical demonstrations are also included! 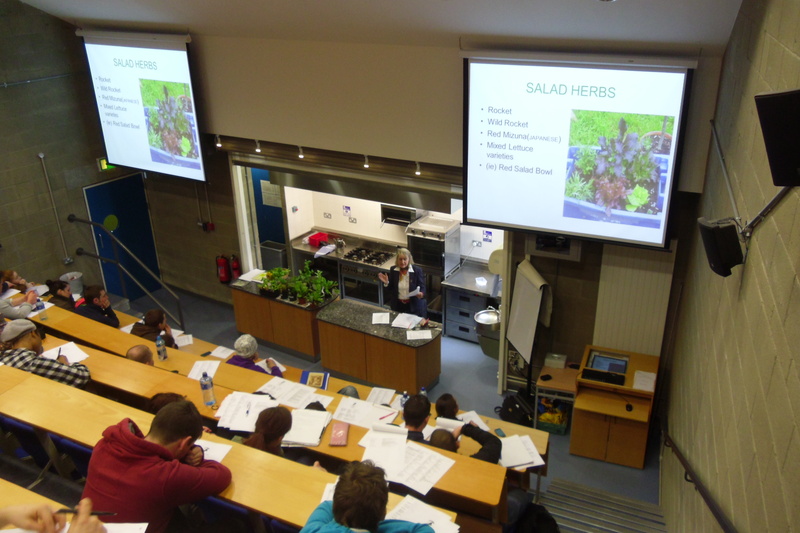 The course is suitable for beginners and also for those who work a vegetable/Herb garden but require further knowledge. 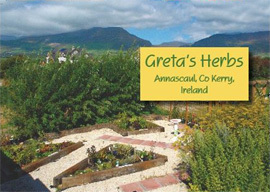 I have given a Herb Workshop at the Dingle Food Festival last September 2011. It has become a wonderful annual event!